If you can't make it to the mountain bike weekend, you can still enjoy summer at the lodge. You can even avoid the $300 summer minimum fee if you choose one of the minimum-fee-free times. Summer at Falls gets better every year. Gone are the days when nothing was open and tbe place was a ghost town. There is a real buzz in January, Easter and weekends. The mountain bike trails and shuttles have been the catalyst for this vitality but there's a lot more. Road cyclists love the challenge of the challenging ascents from the valley, or the undulating high plains road way above the lowland heat. The aqueduct and fire trails make great riding for all abilities and appetites for adventure. There's fishing in Rocky Valley Dam, Pretty Valley Pondage and the streams and aqeducts. Bushwalks may be easy rambles to historic huts, manageable climbs to scenic lookouts or challenging ventures to far flung parts of the high plains. Trail running has taken off too, with 45km of named trails including s trail running 3 trails in the 7 Peaks Run programme. You might be rubbing shoulders with elite athletes who train at Falls Creek in January. Bring a canoe or a tinny and explore Rocky Valley - reputedly the highest navigable lake in Australia. Take a picnic to Raspberry Hill or Buckety Plain. You can hire bikes, fishing gear and tennis rackets. Local's favourite cafe/bar Be Foodstore is open and buzzing most days and very handy for a social drink or three. Every year we see more food/drink outlets open in summer. It's becoming a tradition: club members getting together at the lodge for some mountain biking and good times in summer (maybe even some bushwalking and road bikes). I've been a bit remiss about advertising it this year, but there's still time, and space at the lodge, if you'd like to join us. This year we'll see in the New Year together: Thursday 29th December to Tuesday 2nd January. It's very casual but you can expect some MTB trail riding, easy rides on the high plains, maybe a challenging ride on the high plains, some advice on bike maintenance, maybe a picnic, and lots of relaxed friendly times at the lodge. Blue Dirt mountain bike shuttles will be running every day from 27 Dec to 14 Jan (and then every weekend). The summer minimum fee has been waived from Boxing Day to Jan 6th, so members stay for only $30 per night, guests $42, kids U17 half of those rates. If you'd like to know more or maybe join in some common meals, contact Garry. We are between booking systems at the moment, so contact Alan directly to book. We'd like to add some more recent photos to the website. Do you have some photos of members and guests enjoying themselves at the lodge or Falls Creek in general? Summerand winter shots are needed. Is it Cinderella or the ugly duckling transformed? We were very disappointed that the spa renovation couldn't be finished in time for last skiseason, but wow! Worth the wait. 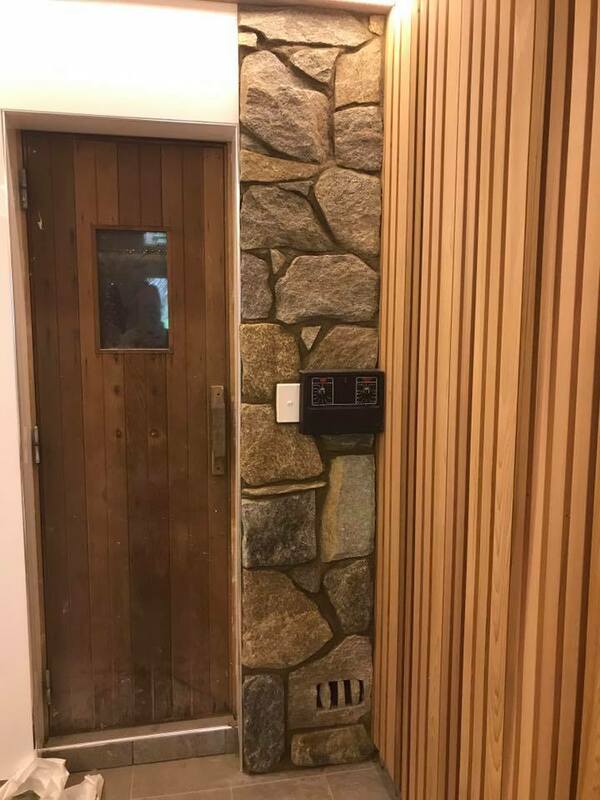 Hard to believe it's the same space. As of the last committee meeting there were still some finishing touches to be completed. As well as the cosmetic changes, the renovation has replaced a supporting wall with a strengthening beam to open up the space, improved drainage to prevent flooding into the corridor, removed rotted sections of walls, rerouted spa plumbing to bring it all indoors (away from the worst of the freezing conditions) and swapped the shower and toilet areas. 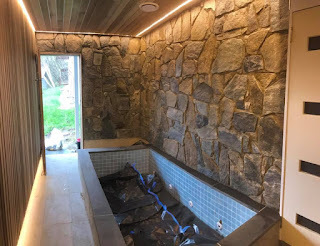 Special thanks to Lodge Supervisor Justin for a huge effort in overseeing this project and to Andrew for his dedication to quality work on the spa. Not sure of the exact results, but I think we nailed it again. With the closure of Ken Long Tyres, the contact details have changed for Alan Long, our booking officer. The booking system that AAC adopted several years ago was great for checking availability but relatively few members use it to make bookings. 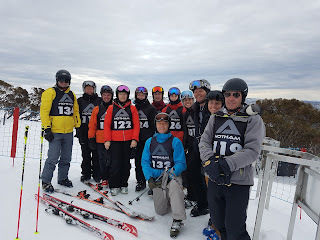 AAC Anton moved to a new booking system for last ski season and their members have been much more enthusiastic about using it. After careful consideration, the committee have decided to move to this system too. AAC lodges at Dinner Plan and Perisher are also considering this system. We are working towards having the new system available by the time 2018 ski season bookings open on 1 February. Alan will be using the system to manage summer bookings and we will be fine tuning the system to meet AAC Falls Creek needs. In the meantime, if you are making summer bookings, please email Alan Long. The old booking system should not be used. If you plan on coming to Falls Creek for more than a week next ski season then it's worth considering a season pass for resort entry. If you buy before 5pm on 20 December you can get the early bird pricing of $325 ($260 for over 65s). Better still, you can opt to pay $95 now and the balance on 31 January.